I watched this movie many years ago when it came out (though it must be said I watched it in passing, and didn’t catch all of it), and I quite liked it. 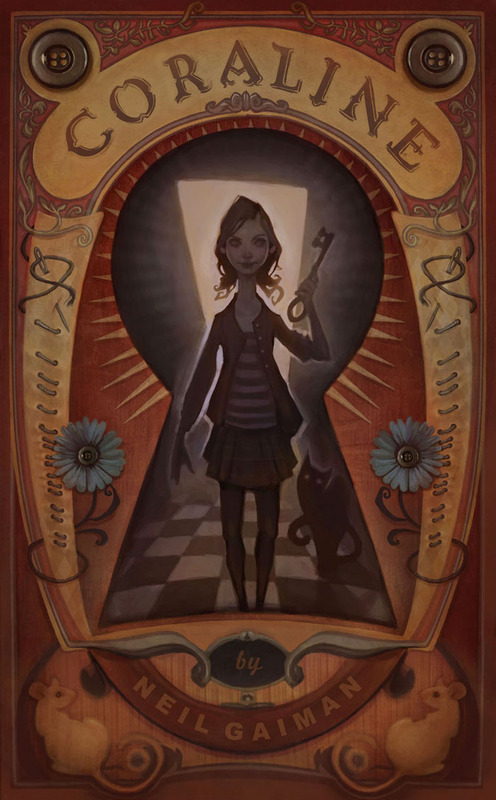 Coraline is quite a sweet yet bizarre journey, one that zips by quickly, and keeps you entertained throughout. I know the story is about Coraline wanting to find her parents in this strange alternate reality, but I have to say, I didn’t really care for her real parents – I found them to be rather neglectful. Anyway, that is just my opinion. I quite liked the character of the cat, and I really like Gaiman’s style. Also, our main little girl Coraline is quite cool – she is sweet, caring, brave, quirky, and so curious. I really like that about her! Coraline is a super quick read, but I loved the dark tone it took, and the way it wove the story. It flowed well, and even in such a short space, Gaiman managed to create characters that you liked and that were just meh, and others that were rather sinister, too. The concept was strange and different, but I liked it. Coraline is such a short book that I cannot really say too much about it, other than the fact that I liked it, and would highly recommend it if you are looking for a filler read, or even just to say that you have read a Gaiman novel, or that you have read the story of a young girl and an alternate universe. This entry was posted in Books and tagged book reviews, books, dark fantasy, fantasy, Neil Gaiman. Bookmark the permalink. Kindest! If ever you want a quick read, this is it! I haven’t seen the screen adaptation nor read the book..but who know, maybe I will because it sounds like something I would like. I have watched it and now read it, definitely a strange but interesting little concept. Nice review Zoe! This is one of my favorites by Gaiman and I also liked the movie. Thanks lady! I quite enjoyed this! I should rewatch the movie, I liked that too, but haven’t seen it in years. I feel so dopey. I have wanted to read this AND see the film. I have flopped on both! Sigh…. Oh Keith hahaha! We all have those lists, and sometimes we even get to tick something off it!